An Indiana school district has agreed to stop allowing prayers at graduation ceremonies in response to a complaint leveled by a Wisconsin-based atheist group. Elkhart Community Schools received letters of complaint last month from the Freedom From Religion Foundation regarding the practice of prayers at the Roosevelt STEAM Academy graduation ceremonies. FFRF frequently threatens to file lawsuits against schools that allow Christian prayers at student events. In a response sent late last month, Elkhart Schools District Counsel Chief of Staff W. Douglas Thorne confirmed that the prayer practice would be stopped. "The Elkhart Community Schools understand our obligation to maintain a status of neutrality on matters related to religious belief, and to avoid actions which might be construed as endorsement of any particular religious beliefs," wrote Thorne. "Our obligation to maintain a status of religious neutrality is communicated to our staff at all levels on a regular basis and I am ... reminding our building principal on the importance of maintaining this status at all school functions." In a statement released Thursday, FFRF Co-President Annie Laurie Gaylor said she and her organization "trust that Elkhart school officials will keep the promise they've made to us." "School districts have an obligation to ensure that students — especially elementary-school-age kids — do not have a particular religion imposed on them," added Gaylor. Last month, FFRF attorney Ryan Jayne sent a letter of complaint to Thorne regarding a Christian prayer that was given at the STEAM Academy's graduation ceremony. "The Supreme Court has continually struck down prayers at school-sponsored events, including public school graduations," wrote Jayne. "It makes no difference how many students want prayer or wouldn't be offended by prayer at their graduation ceremony." 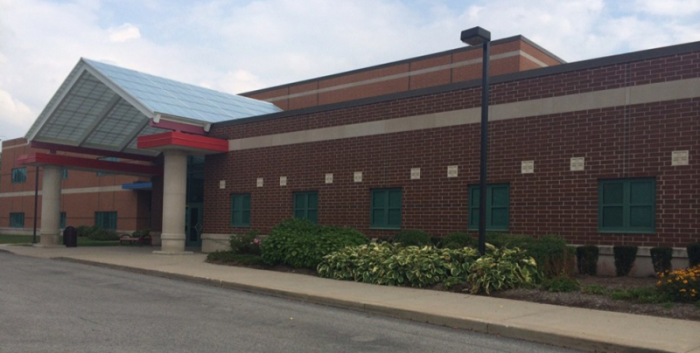 FFRF's complaint against Elkhart Schools comes a couple of months after Indiana Gov. Eric Holcomb signed a bill into law guaranteeing students' religious expression in the public school environment. In late April, Holcomb signed Indiana House Bill 1024 into law, which officially took effect at the beginning of July. The law "Provides that public school students may pray or engage in religious activities or religious expression before, during, and after the school day in the same manner and to the same extent that students may engage in nonreligious activities or expression," noted HB 1024's official digest. And it "Provides that students may express their beliefs about religion in homework, artwork, and other written and oral assignments free from discrimination based on the religious content of their submissions."